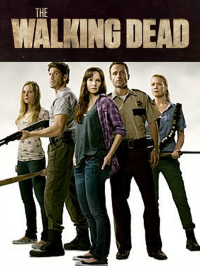 Season two of TV’s best episodic zombie show, The Walking Dead starts tonight on AMC, right after a day-long marathon of the first season. However, there’s a little bit more Walking Dead for you. If you’ve seen the show, then you may remember “Bicycle Girl,” a sad zombie from the first episode.